Red TL Pogy. 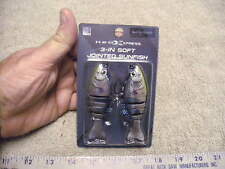 Cotton Cordell 6" Pencil Popper 1 oz Fishing Lure. The Cotton Cordell Pencil Popper is one of the most underrated topwater baits on the market. Hunting & Tactical. 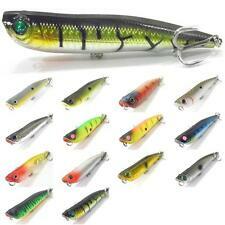 Lure Length: 6". Survival & Safety Gear. 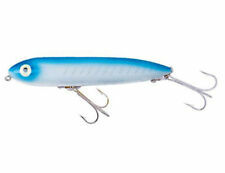 Rapala X-Rap Color: Hot Steel Size 06 Swimming Depth: 3'-5' Length of Body: 2-1/2" Weighs 1/8 oz. Two No. 10 Treble Hooks Feather Teaser Tail . 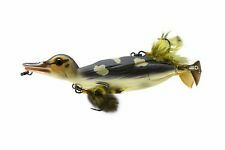 Savage Gear 3D Topwater Duck Bait Color: Wood Weight: 2-3/4 oz Running Depth: Floats Size: 6" Extra Tail Included. 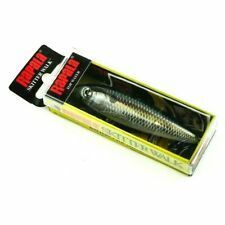 Rapala X-Rap Color: Silver Size: 10 Swimming Depth: 4'-6' Body Length: 4" (1) No. 4 & (1) No. 5 Treble Hooks Feather Teaser Tail. The pencil will cast like a rocket and is designed specifically to be productive in a fast moving current or rip tides because of its special flat bottom design. 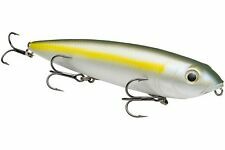 Retrieve slow or fast, along with a twitching of the rod tip to give the lure an erratic sliding side-to-side action, as well as bobbing vertically to imitate a bait fish. Sinking swimbait with sink rate of 1 foot/second. make Supersized seem small. Get images that.